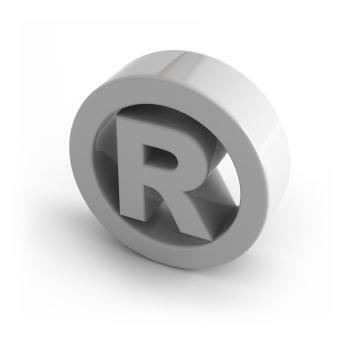 You are here: Home > Do Trademark Filings Give Away Some T-Mobile Secrets? Do Trademark Filings Give Away Some T-Mobile Secrets? Now, like them, we’re betting that the Blaze and G1 Blaze are one and the same. The G1 Rocket and the Rocket could be a part of the aforementioned Blaze or the former could be and Rocket could be a grab at the webConnect Rocket. Then we can come back to the G2 and, with our recent guesswork/source-based information, we’re now leaning, along with Androidandme, toward the notion that the HTC Vision will in fact be the T-Mobile G2 with Google. As for the Jet, a T-Mobile webConnect card named the Jet shipped around September of last year so it’s possible a follow up is forthcoming, as the name remains poignant for HSPA+ services. Let’s talk about the Cliq 2 for a moment and consider that Motorola and T-Mobile have two devices slated for the end of the year according to the leaked roadmap. They have the codenames “Jordan” and “Begonia” and it’s very possible that one of these two devices is the Cliq 2. That being said, I’d much rather hear news about an Android update to the current Cliq than a follow-up. Just saying. While most of the recent rumors are unconfirmed and without any sort of documented support, the combination of both TmoNews and Androidandme verifying the same rumor from separate sources along with the US Trademark news shows that things are definitely lining up nicely. It could be named anything if it’s what’s rumored it will deserve at least to be checked out. LMAO!! The G1 Friend. That’s a winner. The G1 Blaze is going to be called The Vanguard. Don’t blame me I had nothing to do with the naming that’s just what its gonna be. I want the job to name phones, it has to be as easy as the job to assign names to streets and highways………..hmmmmm “the vanguard”, “sounds good”, print it ! Introducing the T Mobile BeeochSlap, the G1 Playerhater and the HTC iPhoneYouAintGotNothingOnThisBecauseYouCantStealThisIdeaAndNameFromThis. remember it’s a secret so to say we know any truth for sure wouldn’t make it a secret now would it. The fone that’s associated with PE will have dual processor, (super? )amoled screen, slide out kb and andy 3.0, is what I’ve been told. I’m more of a I’ll believe it when I see it kind of guy. So that’s when I’ll fully believe what’s being talked about. No PE is no an amoled device its a SuperLCD device which I am sure won’t even be as good as super amoled in regards to display and scratch proof. the MSM 7230 is new (first 7230 device will be H2 2010).. its a Scorpion CPU (which is inside of Snapdragon) with HSPA+ support, and better GPU than first [8X50] Snapdragon.. so the MSM 7230 sounds decent enough.. need to see some benchmarks tho. Qualcomm also announced the MSM7x30 (MSM7230 for GSM and MSM7630 for CDMA). These chips are based on the same Scorpion processor as the Snapdragon, but with 5.1 channel sound and more powerful graphics, like 720p high-definition video encode/decode at 30 frames per second and 12-megapixel camera support. This is possibly related to Qualcomm buying the handheld graphics department of AMD. It is currently unknown if these processors will be branded as Snapdragon. HTC is not a company that strike as going backwards so I doubt it will have 800mhz processor for a high end phone when all their high end phones are standard 1ghz. Yes because The MT3G Slide wasn’t a step backwards. 800Mhz would be possible if we’re talking about this being the dual core chips that would also support HSPA+. To support efficient battery life 800Mhz would be quite a dial down from the 1.2 – 1.5 Ghz potential of the CPU yet would easily still be higher end then anything 1Ghz since well… we’re talking dual core. .I really hope the G2 or blaze w.e you want to call it, doesn’t have a four row keyboard like the my touch slide. I hope e htc vision isn’t the G2. Hope it has a ffc and the guts to hanlde games ala ipod touch. It felt great to have the G1 on day one, it was something never seen before for tmo, but still had that bad feeling when it fail to really stand up to the iphone on the gaming side. Just hoping the. G2 won’t leave us steps behind for so long like the G1 did. I’ll take that MYTOUCH HD till that sweet new Sony Er. Phone/PSP coming out…. oh how i hope TMobile gets one…..
And oh did i mention, and of course i didnt, that it is reported to have Android as the OS! Not a chance in hell seeing as for the past few years Sony has been with AT&T and Cingular consistently. The Jordan is most likely the codename for the Cliq 2. Seeing as the original Cliq was codenamed after someone’s surname, Morrison, the Cliq 2 is probably following suit with the surname Jordan. Also, is it just me or do the names Blaze and Rocket sound plain stupid? Wait….? Jordan and Morrison aren’t just surnames! That’s like the name John…and yes it’s just you! I am going to trademark those names right now. And I bet T-Mobile pays me a fortune to get them. Micheal Jordan is related to basketball, and what do basketball players drink? … G2 Gaterade. So maybe the phone codenmed ” Jordan ” has something to do with the G2. nope 2 completely different devices. The G2 does have a 800 MHz Scorpion processor. Comes loaded with Froyo, no HTC sense. It’s surprisingly heavy too. There are too many morons here. A 1ghz snapdragon is not faster than the msm7x30 at 800 mhz. The limitation of most phones using a snapdragon is the memory bandwidth and the graphics chipset. That’s why a ti omap based on the same arm v7 chipset at 1 ghz is significantly faster than a snapdragon. The newer msm7x30 should almost double the performance of a single core 1 ghz snapdragon. This reminds me of when people swear their 8mp camera phone is better than the 5mp. The 5mp on the same size die will give you a larger surface area per pixel so it will pick up light better and give you brr low light pictures.so you can remove the flash that only makes pictures look worse. The CLIQ 2 ????? What are they gonna change???? Put android 2.2 on it?? Boost Mobile might have the Motorola i1 as a ruggedized Android handset, but we’ve just been informed that T-Mobile will be upping the stakes. A new Motorola Android phone, codenamed Jordan, is set for a November launch on T-Mo. The interesting thing about the Motorola Jordan is not that it is just a ruggedized handset, bur rather that we’ve heard the phone will actually be completely waterproof down to 10 meters (that’s just shy of 33-feet for those of you who are metrically challenged). Even IP67 certified. So, the phone will be swimming with the fishes at launch then?